Are you sometimes stuck in a rut with using the same cuts and recipes for cooking? 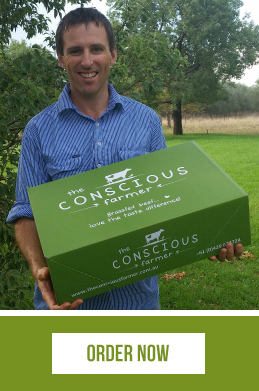 Over a series of blogs I’m going to help you learn how to cook every grassfed beef cut you will find in our hampers. I’m beginning with topside steak, which is a very lean steak that comes from the hind quarters of the animal. 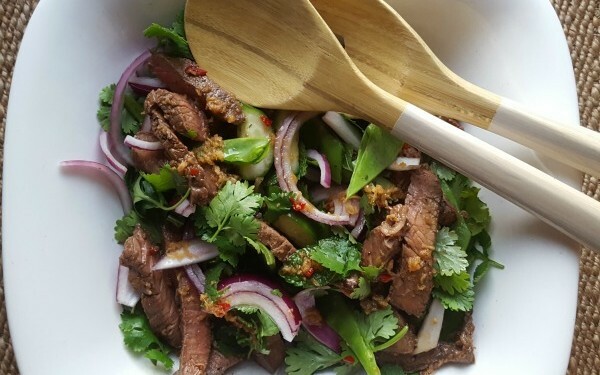 I love to slice it thinly across the grain and stir fry it, or cook it as a steak and then cut into thin strips for popping in salads (like the Thai Beef Salad below) or for spiced wraps (below). When cutting, make sure to slice across the grain of the steak, to create long, thin slices of beef, with the fibres running across each strip (not along it). Just recently I cooked this Thai Beef Salad – which was a perfect meal on one of the days during the extended hot period we had this summer. And it can be super quick to prepare too. Further down is a great recipe that the kids will love wrapping themselves and eating with their fingers! First we will make the dressing for the salad – which will serve as both a final dressing and a marinade for the beef. Whisk together all the ingredients (except the topside steak). Place the steak in a dish and cover with half of the marinade. Marinate the beef in the fridge for a few hours. 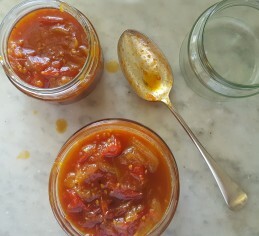 This step is not essential, but will enhance flavours. ( I often find I am deciding on something for dinner last minute, so if you are like me and don’t have time, skip the marinading and it will still be yummy! It is really a very quick meal without this step. (If not marinating, pour half the marinade over the beef before cooking, then discard). Place the above ingredients in a bowl and toss. Take the marinated (or not) steak (let the initial fridge chill come off it) and cook quickly on a relatively high heat, to medium on the BBQ plate or grill. Set aside to rest. Once rested, slice across the grain into thin strips. Add the steak strips to the salad. Gently toss and drizzle the second half of the dressing/marinade over the salad. Serve and enjoy. 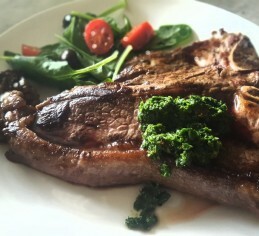 Can also be made with rump steak. If you have kids, and your family do eat some grains, I think you’ll love these quick and easy wraps. Their lovely with a bit of fresh natural yoghurt on the spiced beef strips. Wraps (I choose the ‘Mountain Bread’ brand wraps because all they have in them is flour, water and salt. There are no undesirable oils or preservatives). Combine paprika, cumin, sea salt and pepper. Rub steak with olive oil and spice mix. Cook on a medium to high heat BBQ plate or grill until medium done. Leave to rest. Place yoghurt in bowl and prepare bowls of grated carrot, grated cheese, grated beetroot, green leaves or lettuce and whatever other fillings you desire. Slice steak across the grain into thin strips and place in bowl. Place all the above prepared ingredients on the table. Let the family build their own with a little dollop of yogurt along the beef strips and plenty of fresh salad. My kids love these – they can build their own and eat with their fingers! We hope you’ll love them too. Can also use rump or sirloin steak. 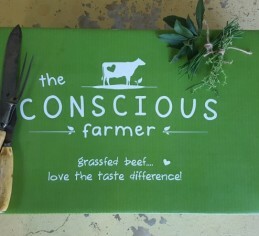 Our hampers have a wonderful mix of different grassfed beef cuts, from beef raised on our farm – it’s 100% grass fed, and pesticide, GMO’s and antibiotic free. If you would like to order one of these nourishing hampers, you can see the options here.